Dreamforce is an annual conference that draws sales, marketing, and other business professionals from around the world to San Francisco. In 2015, Salesforce reported more than 160,000 registered attendees for the event, which includes keynotes, panel discussions, workshops, and of course, parties (lots of parties). 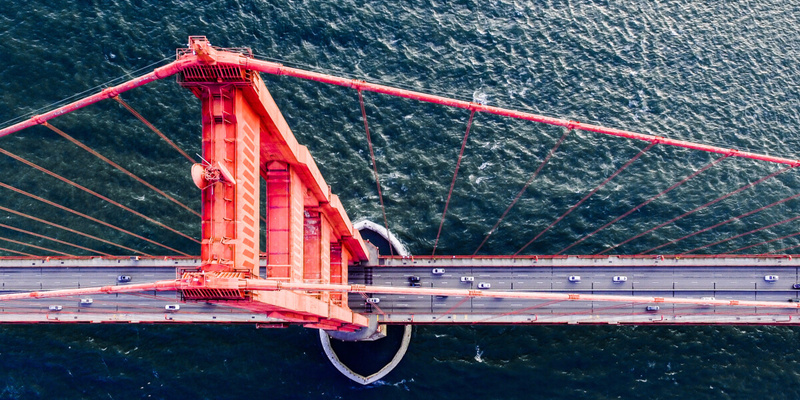 This year, Dreamforce promises to be more epic than ever before, with U2 headlining and keynote talks from Melinda Gates, Mark Cuban, Elizabeth Gilbert, and a host of other famous entrepreneurs, writers, and executives. And as always, it’s not just the talks that generate buzz–it’s the opportunity sales professionals have to meet current and prospective customers, attend industry events, and connect with leaders in the space. So, with all this happening in just one week, how can you make the most of your time at Dreamforce? Get your sales team to do a bit of homework before it starts. Research the colleagues and prospects you want to meet the most. Then, brush up on what you know about them: Did they just raise a round of financing? Are they about to? This will give you plenty of conversation starters. Find out how they’re involved with Dreamforce–are they hosting any events? Will they have a booth? All of this information can be found on the master list of conference exhibitors and sponsors. Once you identify your targets using the list, build your Dreamforce strategy around finding and talking to those people. To get you started, we pulled together the list of the 227 Dreamforce exhibitors and sponsors and dropped it into Mattermark, so you can identify which companies and accounts you want to talk to based on key insights like funding rounds raised, employee growth, and more. With the right data set, sales teams can target companies or accounts that are growing fast and share characteristics with their best customers. Funding rounds raised. Everyone knows it’s easier to sell a product to a company if they’ve got money in the bank. But with the right company data and analysis, you can be more nuanced with your evaluation of trends and uncover other key insights. Smart sales teams look at deltas in Mattermark Growth Score and changes in consumer behavior over time to evaluate if a raise is in the near future. But what if you really want to know how close a company is to raising another round? Here’s a tip: Look at how much was raised in the last round and when it was last raised. This simple framework can be used to quickly calculate burn rate and predict when a company may need more funding. Then you can reach out before it’s news and sell in your product while the competition is still in the dark. Employee month-over-month growth. If a company you’re prospecting has steady MoM employee growth, or even a strong six month increase in headcount, it could be a sign that business is strong and it’s time to start a conversation about your product. When you’re analyzing the list of Dreamforce sponsors and exhibitors, it’s important to leverage clues like these as a means of whittling down your prospect list. For example, with the Mattermark list for Dreamforce, you’ll be able to find 12 companies that have grown employee headcount more than 50% over the last 6 months. NCSquared, Skedulo, and TeamSpirit hold spots 12, 11, and 10, respectively. Media mindshare. When the media hooks into a specific industry starts validating businesses in the space, it may be an indication of growth potential. Case in point? The rise of the on-demand economy. In just a couple of years, the industry has gained recognition for its growth, and so did all of the companies that fell into that category. At Mattermark, we’ve done the hard work of capturing and reflecting this kind of information with our Mindshare Score, ingesting insights and mentions from LinkedIn, Facebook, and Twitter as well as info about mobile downloads, web traffic, and inbound links. Whatever’s important to your business. There are tons of company data points that can indicate a variety of outcomes. But the key to deriving value from this information is by first deciding what’s important to your business. For example, if your company does exceptionally well selling to accounts that just got a Series B over $10MM and have had steady employee growth over a six month period, there’s really no reason to start prospecting early stage companies with low headcount. The point is, see what works inside your sales organization to close deals and generate happy customers, and let that guide your prospecting efforts. Company data has the power to enrich sales activities by helping teams focus on targets that are worth the investment of time and attention. It also gives you the power to leverage the insight you have about your best customers to go out and find more just like them. Leveraging this approach at Dreamforce will save you time and get you talking to the right people–so much so that once the conference is over, you may find yourself utilizing it for all your sales prospecting activities. 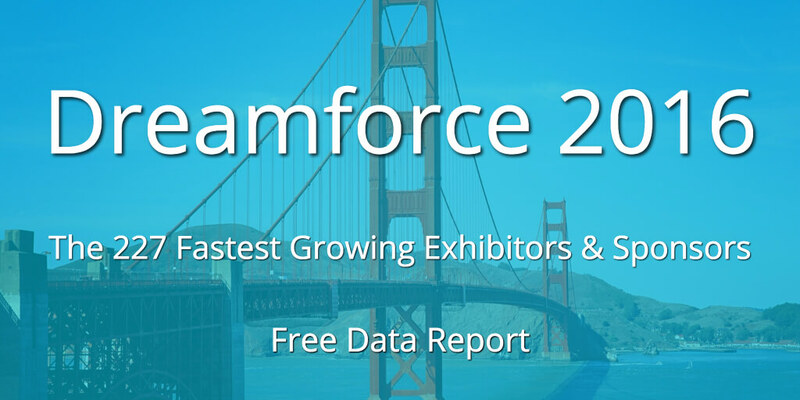 Download the free list of 227 Dreamforce exhibitors and sponsors now.